This March, the gaming world celebrated the two year anniversary of The Legend of Zelda: Breath of the Wild. But for me, this milestone is deeply personal; it’s an opportunity to reflect on how Link and Zelda helped to change my life. This is my story. I have never been a gaming enthusiast. Sure, I flirted with Mega Man on my Game Boy, toyed with Duck Hunt on the NES, and occasionally took to the track with Mario Kart on the Wii. But I never sat down and played any single game for more than an hour. Like many people who simply don’t play video games regularly, I really had no interest — let alone patience — to learn a game’s mechanics to the point where I could make solid progress. After a couple of deaths, I was out. And, in a previous life, I even sold video games — but I viewed them as a kind of commodity, not unlike fast food. “Would you like the new Call of Duty game with your new PlayStation 3?” was my equivalent of “Would you like fries with that?” Yawn. In fact — just to drive home the point — we’d have a yearly toy sale where games would really fly off the shelves. And I’ll admit, I actually tended to judge people who bought the latest Xbox or Assassin’s Creed game. Why would you waste your money on that stuff? What’s the appeal? What do you see in that console and its games that I don’t? I really didn’t get it. I was ignorant. In early 2017, my world changed. I was enveloped by hopelessness. Life was a burden; it was something to be survived minute by minute, hour by hour, day by day. As the sun rose each morning, I’d cry — filled with dread about the coming day, just wishing I could stay in bed. I helplessly wondered when (and if) the burden would end. And at night, I’d enter a world of nothingness — a numb, featureless place, perhaps created by my own subconscious for my protection. I was present, but lost. Hurting, yet numb. I was living with anxiety and depression and eventually, thankfully, I sought professional help. Around the same time I sought that help — and received a formal diagnosis — my partner (and the editor of this very magazine) had picked up a new Nintendo Switch and had received The Legend of Zelda: Breath of the Wild (his birthday present from me). Bearing in mind my largely non-existent history with video games, it was clear early on that Breath of the Wild was something different. When the world of Hyrule filled the screen, I was like a curious cat, peering at it from behind the wall, intrigued. I kept wondering how such a tiny little device — a chunky little tablet — could produce such visually beautiful imagery along with an emotive, soothing musical score. Of course, my partner sensed my interest. He set up a profile for me on the Switch, gave me the Joy-Cons and encouraged me to have a go. I wasn’t sure that I was emotionally ready to take on what felt like a big new challenge. 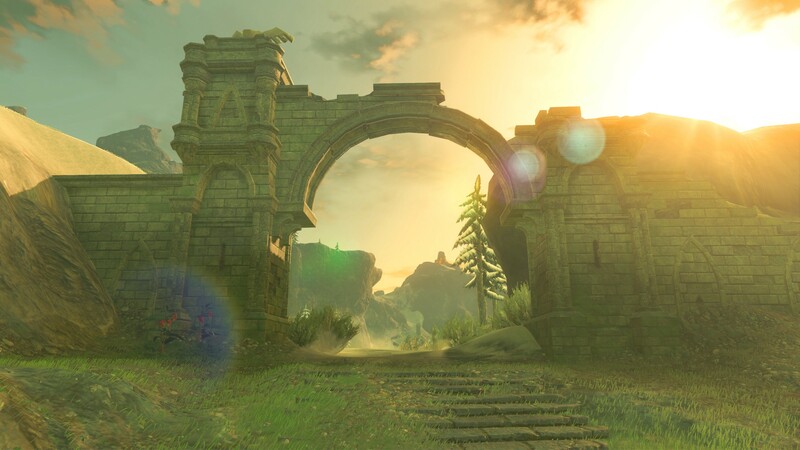 And although I had a rocky history with games, I knew that Zelda was legendary — picking up those Joy-Cons felt like diving right into the deep end. At first, I was terrible. Trying to grasp the controls, learning what each button did, was like learning a new language. I died upon encountering my first Bokoblin. All the while, questions kept flowing through my mind: How do you know what to do next? Or where to go? Or what to see? I began to experience the same frustration I had with other games in the past. I just wanted to give in. Over the next two days, I was home alone. Vivid autumn sunlight streamed into our living room, adding an ethereal glow to everything it touched. I resolved to sit down and give this gaming thing another go. And then, somehow, it all came together. I became immersed in a new world — a place that plucked me from the darkness, and allowed me to explore the vast, windswept plains of Hyrule. It felt like discovering a country for the first time; I was excited by each new revelation, the next awe-inspiring landmark, or the next enemy to battle. While medication and therapy helped, and was occurring in parallel to my journey in Hyrule, this felt like the first time in a long time that I could really see the light at the end of the tunnel — the darkness was slowly peeling back, and I began to feel okay. This experience was a revelation for me. It caused me to completely rethink my understanding and perception of gaming. For many, myself now included, gaming can be a way to heal, a way to release ourselves from the day-to-day stress that a 21st century life can impose. If used correctly, gaming is no different to the satisfaction and release that people might get from other hobbies, like cooking, reading, or following sport. What a revelation, and it only took me 32 years to realise it. 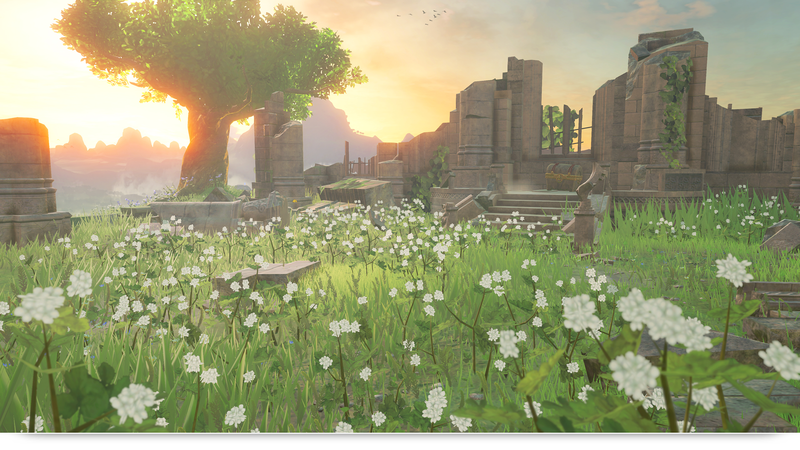 To Nintendo and the creators of The Legend of Zelda: Breath of the Wild, thank you. Your life’s work helped me overcome the scourge of anxiety and depression and, in doing so, changed my perception of the vast gaming world and the positive impact that it can have on everyday lives. For anyone reading this who is suffering from mental illness, please contact a local support group or your doctor. You are not alone, and there are people willing and able to help.